Through a Charitable Trust we set up ten years ago, along with Smedvig Capital, we identified, designed and have been promoting the construction of a new covered pedestrian footbridge over the River Thames. It is on the site of an old public footbridge, on the upstream side of Railtrack’s Cannon Street Railway Bridge, which currently runs between Cannon Street and London Bridge stations. In initially promoting this scheme, full planning permission was sought from both the City of London and Southwark. Full permission was granted for the scheme by the City of London, although this consent has now expired. The London Borough of Southwark also resolved to grant a corresponding application subject to a legal agreement, although this was not completed. The footbridge now features on the City model in Guildhall and is a designated proposal site in the Southwark UDP. The footbridge is also in accordance with the replacement London Plan which sets out that the Mayor will work with strategic partners to provide new river crossings, and the Southwark Core Strategy which seeks to encourage walking and improved links between Southwark and north of the river. It is acknowledged by the Government, Local Authorities in London, local residents and the general public, that facilities to enhance walking along the Thames, including new footbridges, are a priority. The project has wide support at all levels and from statutory and non-statutory bodies and local residents. 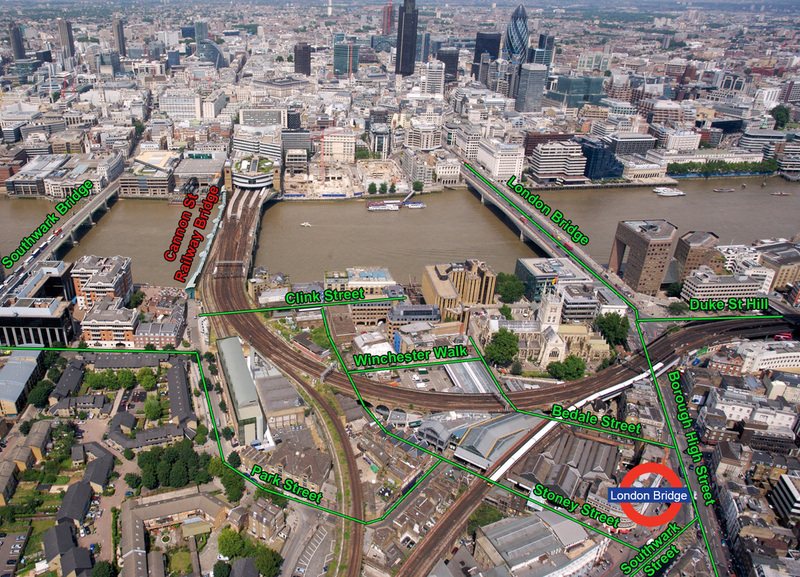 Cannon Footbridge will help with the continued and successful re-generation of Southwark and act as the best and most direct footbridge route between the City and London Bridge via the Borough Market. Studies have shown that the bridge will be used by over 5 million pedestrians a year including workers, regular visitors and tourists. 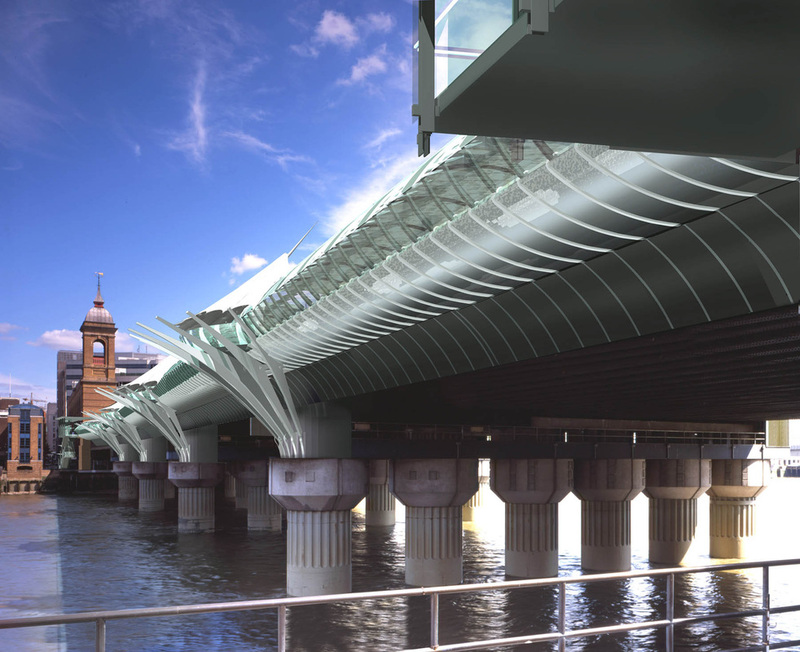 It would be the only covered footbridge over the River Thames and it is intended that the bridge will be fully accessible with stairs, escalators and lifts on both sides and will offer panoramic views over the River Thames. £400,000 has been spent to date in order to create this scheme and to move it forward to this stage. The total estimated cost will be £18 million. Uniquely, it will generate circa £2 million per annum from internal information video screens and advertising, also enhancing the walk. Proposed timeline: 11 months to build. Sponsors/Government/Local Authority funding is now being sought.